To anyone who has ever liked one of my posts. To those who comment, and in particular to those who have raised a question. This blog is for you. I have compiled 10 of the most common questions from my posts and have answered them for you below. I would like to take this opportunity to thank you for your likes. I appreciate your comments and am grateful that you ask questions. It’s my pleasure to share my answers with you and I hope that you enjoy reading them. 1. Will you do some video tutorials of your styles? Yes! Now that I have some extra free time, with both my children at school this year, I am happy to confirm that I will soon be posting video tutorials of my styles. 2. Your braids are always perfect. How do you contain the flyaways? I like to keep product use to a minimum on Grace’s hair. *TIP: Damp hair results in a clean finish. Detangler spray helps me get any knots out before styling and I use hairspray to finish. 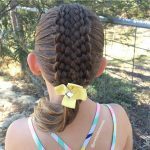 Check out Sweethearts Hair Design for a fantastic Detangler. 3. How long does it take to style Grace’s hair? It takes 15-20 mins most days. I attempt the most extravagant styles on weekends when I have some extra time. Lucky for me, Grace’s fine hair is easy to work with. 4. 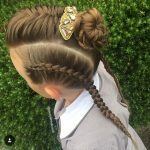 Does Grace have a favourite style/braid? Grace loves big, high Buns. She likes a style that she can admire easily in a mirror. For a change, when Grace attends birthday parties, she loves to have some of her hair down with curls. 5. 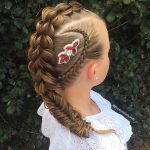 Does Grace ever get tired of getting her hair braided? Grace doesn’t complain about having her hair done. It’s the time she gets to watch morning TV. Sometimes she bribes me to have the iPad though. LOL! 6. What can you tell us about Grace? Grace is a people person, she loves her family and enjoys her friendships. She’s warm, kind, caring and very nuturing. She is active and filled with loads of energy! 7. What’s your favourite out of all the style’s you have done? Just when I think I have a favourite style, I fall in love with a new one. It’s interesting that the styles I love aren’t always the one’s that get the most likes. Here is my most liked and shared style. 8. What is the hardest style you have done? I like to experiment with multi-stand braids. Then by adding a feature like loops or ribbon I get to enjoy setting myself a real challenge. Often a simple looking style is quite complicated. Looks can be deceiving. Here are a few styles that I found had a higher degree of difficulty. 9. You are always so creative. 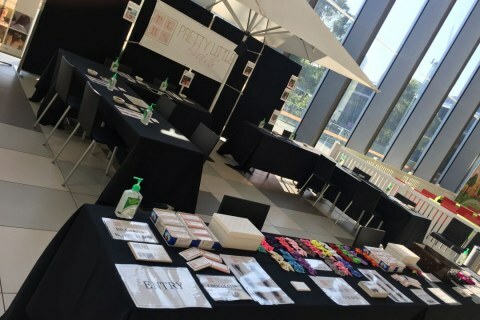 How do you come up with your designs? I think up my styles at night. If I need inspiration, I look to Instagram. 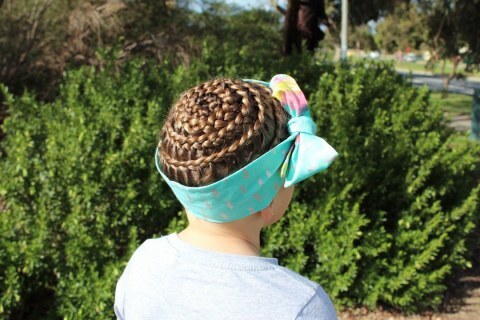 With over 1,000 styles on Pretty Little Braids, I fear that I may one day run out of ideas. 10. 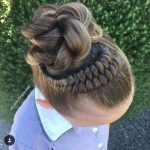 Do you have a favourite braiding account that you follow or that inspires you? 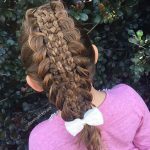 There are so many beautiful, creative braiding accounts. I can’t mention a favourite. The accounts that I look up the most are the ones with great styles together with good quality photos. I find myself looking at Instagram when I need inspiration and to see what’s new and fresh. 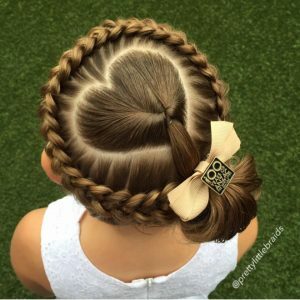 I love discovering unique, creative braids. That’s it. I hope I covered something you wanted to know. Keep asking and I will keep braiding. on Ten questions you asked – answered. Hi there just wondering if you do coursed on braiding. 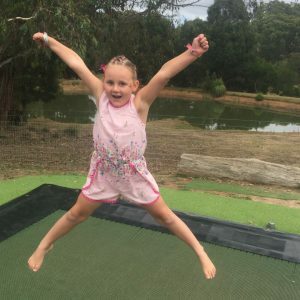 Im from Adelaide. Thanks. My names Elly and I’m 14. I was wondering if I could vollenteer to braid at the Good Friday Appeal, Kids Day Out. 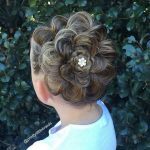 I can do both braids including French(inverted), Dutch(outverted) and I can do several different styles. Let me know If I can be of assistance. Drop me an email: admin@prettylittlebraids.com of some photos of your braids. I am learning how to braid…………………………….